Melbourne and all of Victoria. 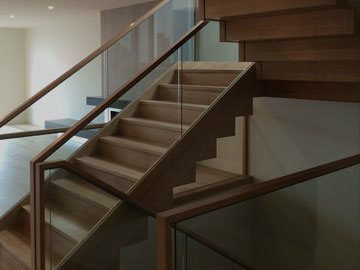 With over 20 years’ experience, Going Upstairs has been designing, manufacturing and installing quality timber staircases around Melbourne and all of Victoria. around Melbourne and all of Victoria. As an Australian-owned, family business with a passion for stairs, we take great pride in delivering excellence in our services and workmanship. We believe that your staircase is an important element in your interior that shouldn’t be overlooked. As well as serving the necessary function of allowing access to other floors of your home or property, the staircase is a crucial feature that can bind your interior design together. It can be designed to complement the overall theme of your interior, or as a standout out feature that becomes the focal point of your space. With years of experience, we’ve honed our expertise in customising staircases for a wide range of styles. Whether you want a unique staircase based on Federation, Georgian, Victorian, Edwardian, or Geometric designs, our team can create a custom staircase specifically for your Melbourne property. Have a creative idea that’s outside of the box? We can help. At Going Upstairs, we thrive on tackling challenging contemporary and modern design projects. 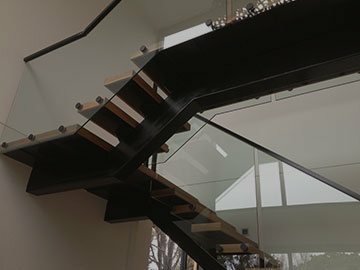 Whether you’re looking to install a simple straight flight, a feature steel spine stair or a grand double geometric masterpiece, you can trust us to bring your vision to life. We can advise, design and create the stairs of your dreams for your property. 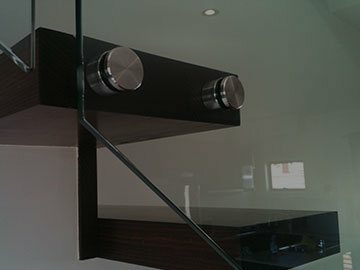 We also work with steel (stringers and balustrade), glass balustrade, and various other materials. Our highly skilled team have the experience and knowledge to produce immaculate work. We pay close attention to detail to ensure that your stairs are perfect. Give us a call today for beautiful staircases by Going Upstairs. We welcome residential (builder or owner-builder), commercial, or industrial projects in Melbourne and across Victoria. Check out our complex, self-supporting geometric monster staircase as seen in our award winning stair designed by Adrian Amore Architects in West Melbourne.